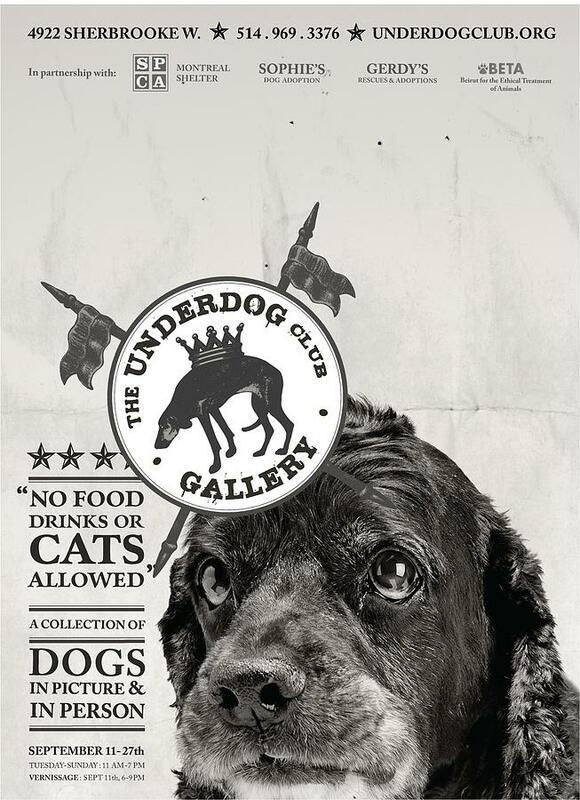 Underdogs - No Food is a photograph by Anonymous which was uploaded on January 12th, 2010. This original photograph is currently for sale. At the present time, originals are not offered for sale through the Fine Art America secure checkout system. Please contact the gallery directly to inquire about purchasing this original. Click here to contact the gallery. While I am generally stuck in the Belle Epoque and Art Deco periods, every once in a I am brought back to modern day reality - the car needs to go to the garage, my son needs something for school, the dog needs to go to the vet. And it was at the vet that I saw these posters first: very simply printed on newsprint (just like the old posters of the 1880's! ), with a clear message, eye-catching graphics, a clean design, and WOW ... no way I could pass them up. Add to that the fact that they were for a worthy cause, and I was hooked. Started by a young woman in Montreal, the underdog club (underdog.club.org) places dogs which are called the "old, the ugly and the unpopular (how can you not love that? ), and working with rescue organizations in the city and the general Montreal area, finds homes for dogs who can't find homes for themselves. I LOVE THESE POSTERS so much that I bought lots and lots of them... and hope to sell them here. All the money raised goes to help place the hounds, and I can't think of a better reality than that! Posters come in two sizes: 11 x 17, or 18 x 24. Smaller size posters are $40 each, $100 for a set of 4, larger ones are $50 each, $160 for a set of 4. There are no comments for Underdogs - No Food . Click here to post the first comment.